On opening day at Euro Disneyland, Mickey Mouse was treated like a visiting head of state. When a Disney theme park opened outside Paris in April 1992, one newspaper called it a "cultural Chornobyl." 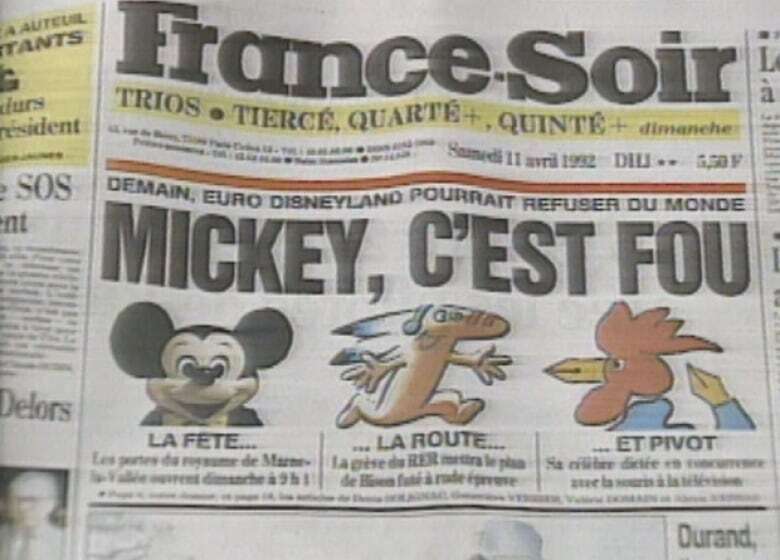 Some newspaper headlines decried the arrival of Disney on French soil. 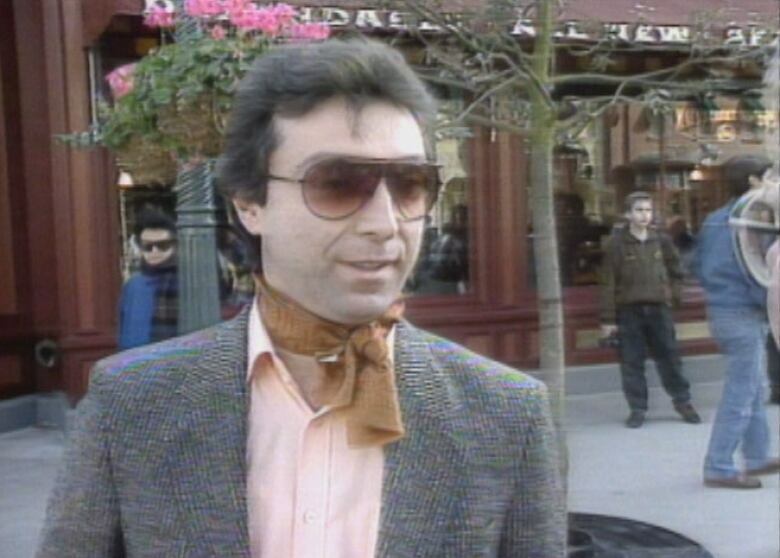 "Among the intellectual elite in Paris ... Euro Disney is seen as an American assault on French culture," explained CBC reporter Dan Bjarnason for The National. The park, which cost $5 billion to build on fields formerly devoted to sunflowers and sugar beets, wasn't Disney's first foray outside North America. It also had a resort in Japan. Yves Micheu, director of Paris's Institute of Fine Arts, said culture was about leisure, and shouldn't be "grey and very difficult and severe." "You must enjoy culture," he said. "So, why not Disney?" Nearby villagers weren't all pleased with their new neighbour — "It's a shock," said one man of the nightly fireworks. Another resident compared the park to the Eiffel Tower. "I admire it, but it doesn't mean I want to live beneath it," he said. 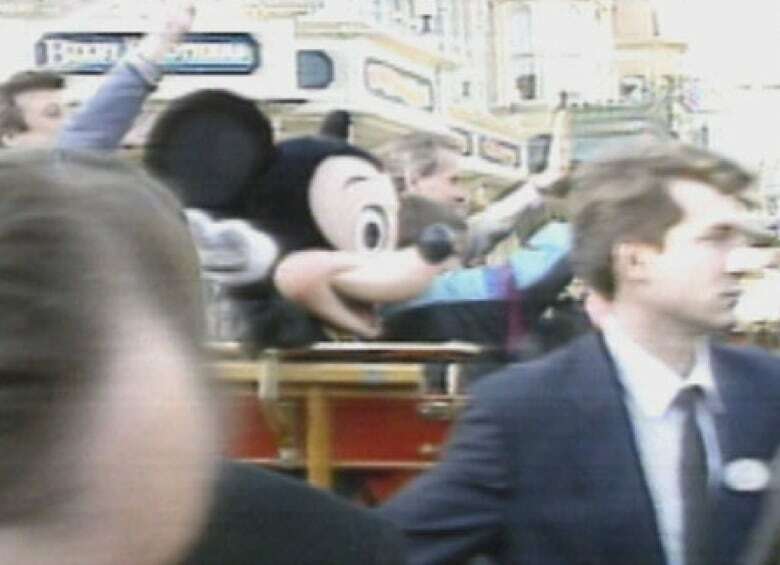 At the resort, crowds waited to get in starting at dawn and Mickey Mouse was treated like a visiting head of state, waving from a car surrounded by security staff. Park visitors were enthusiastic about the place. One man described it as "fabulous." According to the Globe and Mail, Euro Disneyland attracted 50,000 people on opening day — one-fifth what it had projected.